It’s not too late to sign-up for HealthConnect! It’s not too late to sign up for HealthConnect or insurance through the Health Insurance Marketplace. With all of the changes underway that affect eligibility for health insurance coverage under BadgerCare here in Dane County and provisions of the Affordable Care Act, many in our community will be affected and may not know where to turn for help. Having health insurance is important because coverage helps people get timely medical care and improves their lives and health. By now, your clients, employees, and loved ones have heard about the Health Insurance Marketplace and new health insurance options but they may not know what to expect when signing up or about resources in the community that can help pay for that coverage. United Way of Dane County is here to help. 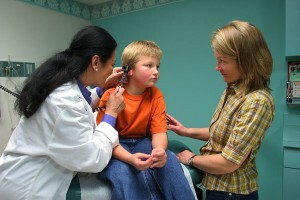 HealthConnect is a health insurance premium assistance program, supported by UW Health. The program provides financial assistance for the individual’s out of pocket cost of insurance premium for plans purchased through the Health Insurance Marketplace for those with very low income. HealthConnect is not health insurance. In Dane County there are more than 55 plans between the four insurance providers listed in the Health Insurance Marketplace that qualify under HealthConnect. It’s not too late to sign up for HealthConnect or insurance through the Health Insurance Marketplace. We ask that you please share HealthConnect information not only with the population your agency serves, but also with your employees, LTEs, home care givers, and any other people who you touch in your work who might be helped by HealthConnect. HealthConnect enrollment is still open to those who qualify even if they have paid their January Premium. The open enrollment period for the Health Insurance Marketplace ended March 31, 2014. Please have your employees, LTEs, or clients call Unity Way 2-1-1 with any questions or concerns regarding HealthConnect eligibility as well as local resources for in-person assistance with applying for Health Insurance through the Health Insurance Marketplace. To learn more about HealthConnect please visit our website at: unitedwaydanecounty.org/Healthconnect.